Can you feel it? Magic is flowing in the ether for the first time in an era. No not that D&D nonsense the dwarves entertain with in dark taverns at the end of a long week of mining. It’s something more condensed. A rare treat for the small conclave of magi seeking megalomaniac dreams shrouded in a mist of spells and carried on the backs of wyverns. Ah simple humans might not be so in tune to these things. Allow me to speak clearly, for a long forgotten Age of Wonders fast approaches. 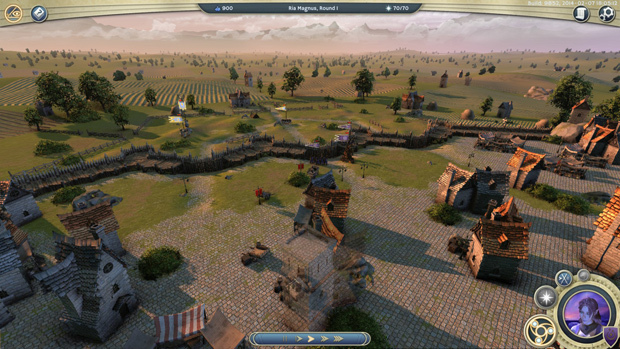 When players think strategy games, they typically imagine modern military conflicts or real-time strategy quick matches set in the era of knights and trebuchets. However these games just don’t scratch the itch of those of us looking to sit down and test our mental prowess in a tactical conflict that spans multiple nights of toil and troubles. And the primary two examples that do this, i.e. Civilization and Europa Universalis, do so in the plebeian reality devoid of witches and forbidden ruins. Now Age of Wonders used to hold this place, but only the elves and sages of old can lay claim to having experienced these at the time. For a magi of a more recent age like myself, my only taste of such an experience came from a rather mighty mod for Civilization IV: Beyond the Sword known as “Fall from Heaven II.” This had all the empire building and government system management the Civilization series was known for, but with the spell acquisition through experience and magic division between civilizations required to fill the void left by Age of Wonders. But as all things do, the mighty Tower of Mastery crumbled. Its denizens scattering to the four corners creating their own visions of the game as the original creators sailed off to pursue legitimate careers in the development industry. So again the void was left unfulfilled. That is until a blast of light from the heavens, guided by the gravitational pull of the planets, set in motion the third coming of greatness. 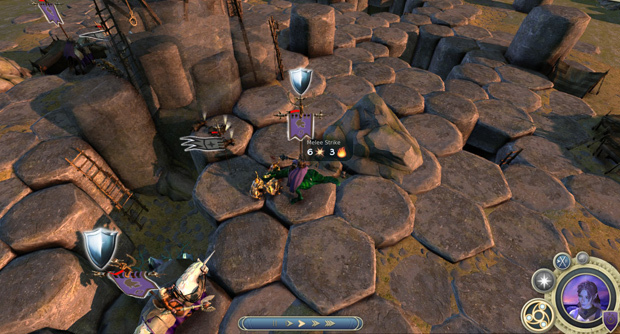 My first experience with Age of Wonders 3 was enough to bring tears to a poor old wizard’s eyes. Essentially they’ve captured the magic and mystery of Fall from Heaven’s universe with a more militarized focus on empire building akin but not all too similar to Civilization and (much to Firaxis chagrin) the tactical environment focused combat system of Socom into one solid package of a game. And while that alone should be enough to sell any fan of this niche, I’ll break down the details. For there are many secrets hidden deep within the Tome of Wonders. Aye it’s an odd focus to see in a genre so renowned for pre-established leaders and preset nations. 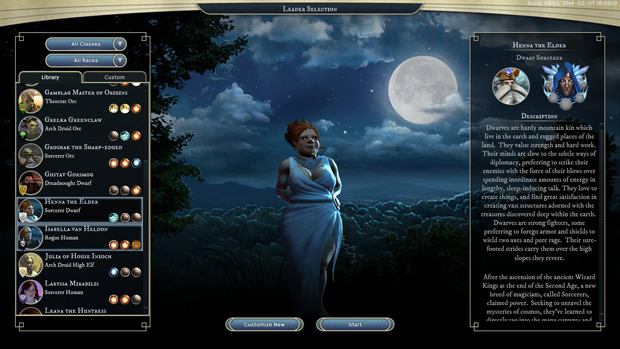 Yet Age of Wonders 3 features a character builder that easily rivals free MMORPG character creation in terms of the number of visual changes you can make, and yet has enough impact on gameplay to inherently share near limitless roleplayability and replayability to your scenarios. Players are offered a rather lengthy selection of leaders who I’m assuming are canon characters given that a few of them were present in the incredibly unforgiving ‘tutorial’ scenario I learned the basics from prior to starting my custom adventure. And while there are enough choices here to satisfy most of us, Triumph took it one step further by allowing us to build our own leader from the ground up. First are truly impactful choices including gender, class, race, and specializations (akin to the spheres of influence in Age of Wonders 2). 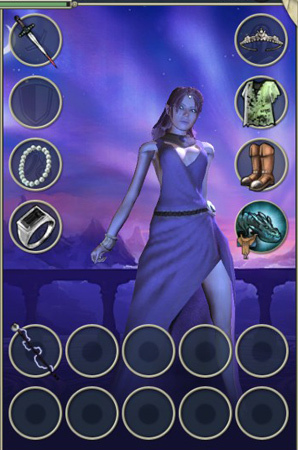 Nothing is locked out so you can be everything from a female dwarf sorceress to a holy diminutive goblin theocrat. The sphere specializations allow you to choose up to three areas of focus, which I’ll discuss in greater detail later. For now just know that this is what will define your character’s tech tree and personal spells. 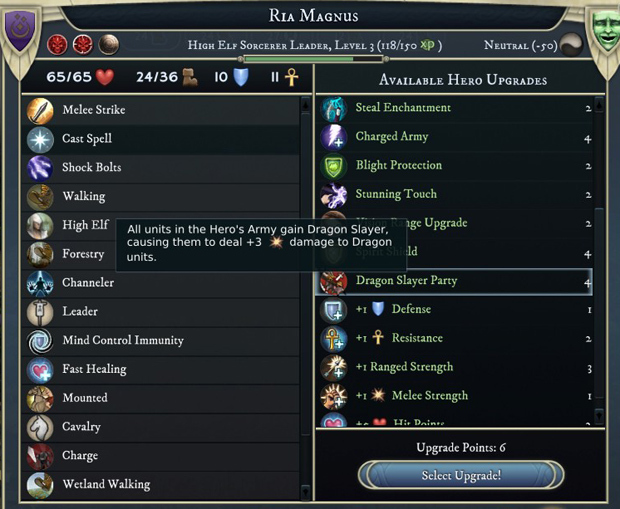 One interesting note is that you can double down on a specialization for greater impact, as did I with my evil dark sorceress, Ria Magnus. After that all is locked in, you then go about adding fancy trinkets, hair styles, skin and hair color, eyes and facial structure, tattoos, clothing, coat of arms, and even your stance and background that will display during diplomacy. All in all not a bad add-on in terms of fluff factor. 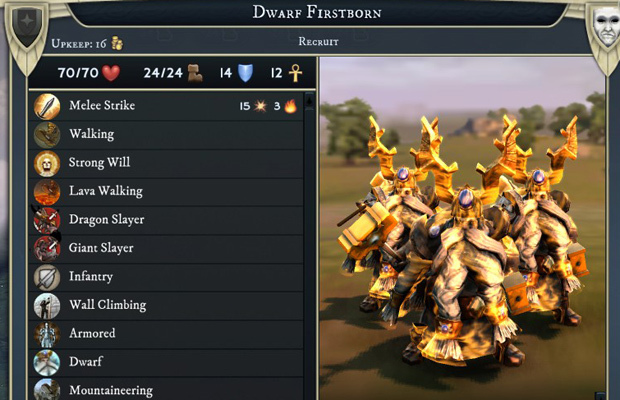 Those familiar with the typically slow start of turn-based strategy games may be in for a bit of culture shock when starting off in Age of Wonders 3. Not only will you see the character you just custom built atop their mighty stead (or less than mighty Unicorn), but around them will be a rather powerful military unit known as an army. 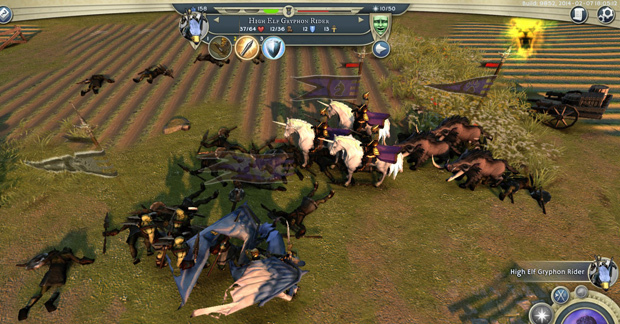 Armies can consist of up to six units and set the limit of what you can take into a battle outside the seven army city siege battles. And after plopping down your Throne City, your choices initially will be limited, but your build times are quite low. Rarely will you find yourself waiting more than three turns to construct even expensive buildings. But a more prevalent problem becomes obvious rather quickly. 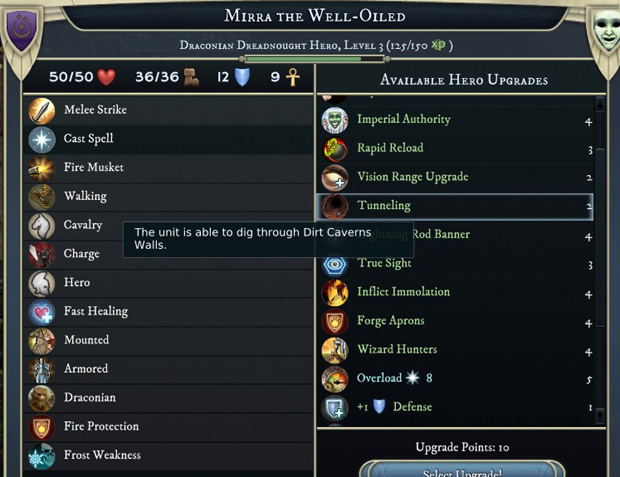 Age of Wonders 3 is all about the economy. Yet it doesn’t offer you much customization in terms of managing it currently. In the beginning there aren’t buildings you can construct to bolster your economy, nor workers you can train to improve the land. Even basic units cost a flat amount of gold to begin producing, which your starter army’s upkeep simply won’t spare you the luxury to buy. Your city will grow slowly and it will likely be some time before you can expand your empire enough to match this initial upkeep. The only solution to keep your economy afloat should be simple for you wizards lacking moral fiber though. The Age of Wonders can only be built from an Age of Plunder. Fighting is key to surviving in this game. Tons of independent barbarians ranging from Fay Fairies to Dwarven Prospectors to Orc Skirmishes dot the landscape, each guarding locations filled with plunder that second as useful resources once cities are built by them. 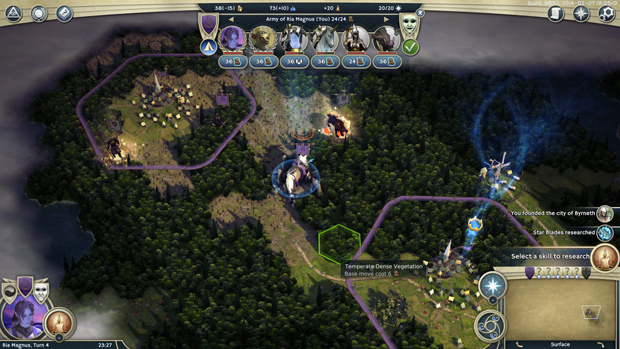 This means commanders need to learn fast how to not only win, but win with minimal casualties, as the gold you can obtain from exploring these locations will keep your campaign going, while the morale from repeated victories will boost your city’s morale, one of the few resources you can impact to actually increase economic factors. Beyond flat out gold, exploring and battling the locals will net you a few other benefits. For one, standard units engaging in combat gain experience and eventually level up in strength to trooper, veteran, expert, and elite, occasionally even gaining additional powers such as ‘crippling’ status from attacks as seen on this Orc Black Knight. 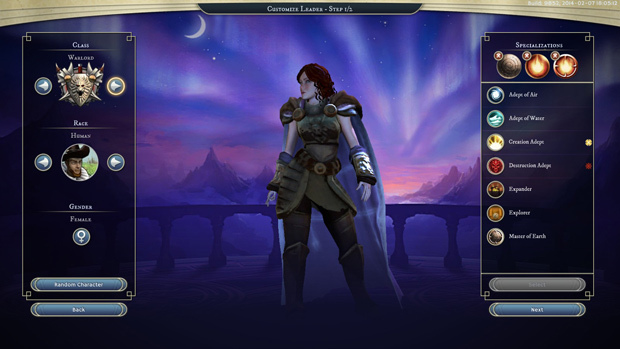 Hero units also gain experience that can be spent customizing your leader’s strengths. 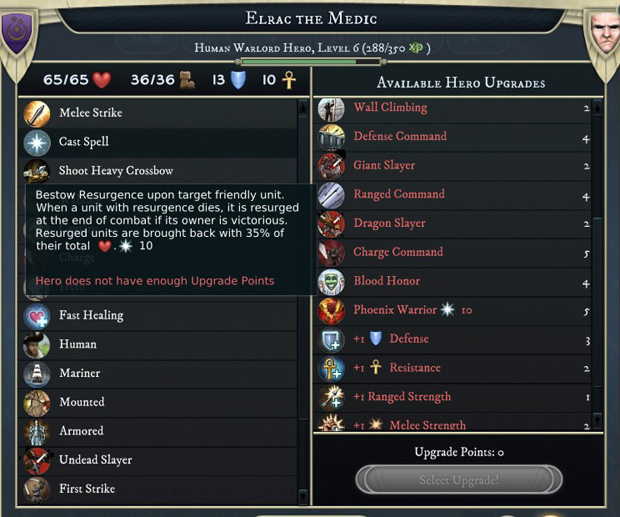 This ranges from simple general upgrades like health, defense, magic defense, ranged attack, and melee attack power to the less common class specific things. Sorcerers for instance can specialize in a range of element specific defenses, gain boons to their spell casting that ignore line of sight damage reductions, and even steal enemy enchantments. Dreadnoughts make for pretty wicked tanks or can serve from the backline as supports to your heavy hitting mechanical devices with repair and fast reload upgrades. Rogues are a sneaky bunch, gaining stealth status, bonuses to flanking, and plenty of status effects to cripple foes too powerful to downright assassinate. They can help their army climb walls, bolster their armor piercing capabilities, and blend into urban environments as if they were invisible. Archdruids are naturalists, and are great for converting animals into personal minions, and then powering them up to fight on par with more advanced units. Their nature based spells can also be brutal in the right composition for stealing away enemy movement to prevent hit and run tactics. 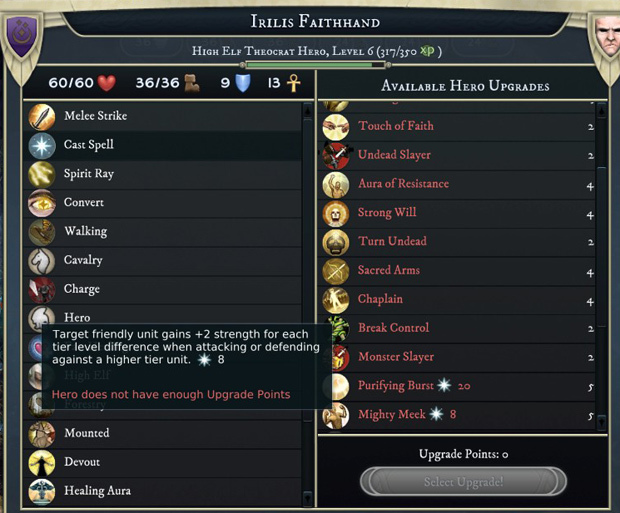 Theocrats are ideal healers that can be specialized into converting enemy units with weak magic defense to your cause. Their strength against undead can really turn the tide and long engagements favor them. 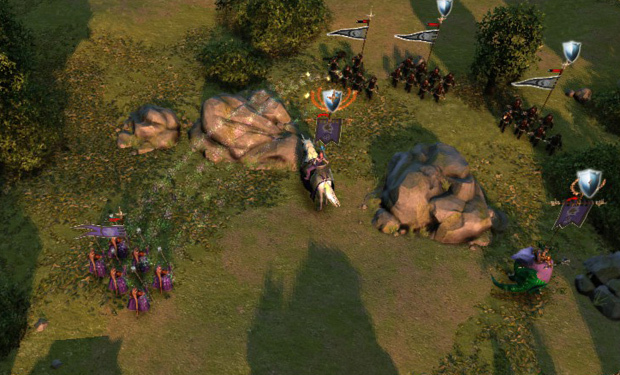 Warlords make for great army leaders, particularly when an army is specialized for a set goal. 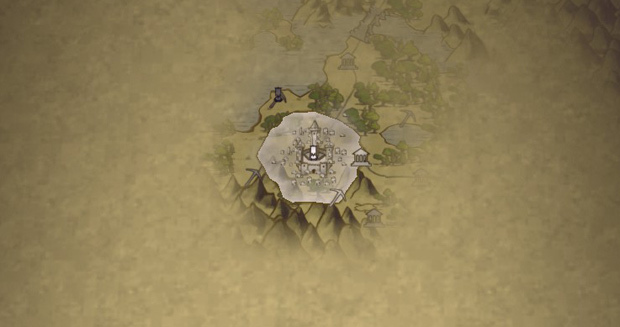 They can make fortresses incredibly challenging to take and act as a tankier front line healer in hectic battlegrounds theocrats wouldn’t survive in. Their presence inspires allies and sends foes running. . The final joy found in the Age of Plunder is uncovering relics that can be equipped to your heroes for an early game combat bonus. This can be as simple as shoes that give a movement bonus in forests to staves, daggers, and muskets that grant you new ways to attack in battle. You can even mail them between heroes if you stumble across goods with one hero that would be better utilized by another. Eventually you’ll even be able to pay to construct equipment of your own customized to your needs via the Arcane Item Forge upgrade. All these stats and upgrades are meaningless if you don’t know how to utilize your units on the playing field though. 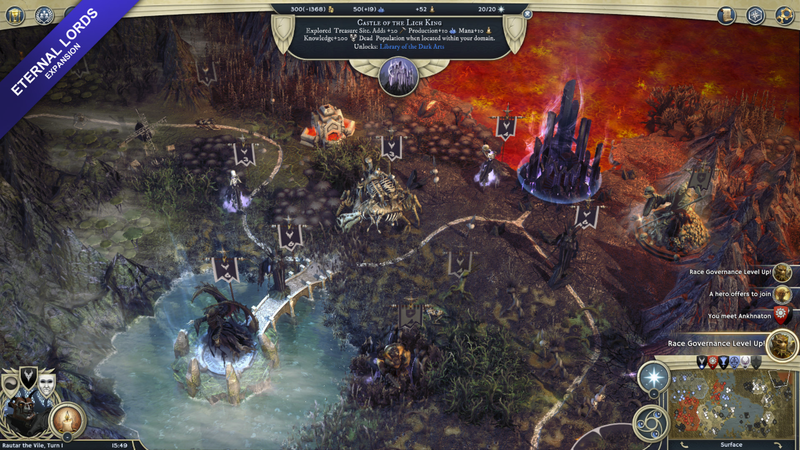 It can’t be overstated that Age of Wonders 3 is one of the most unforgiving games I’ve touched when it comes to battle systems. Heck I lost the tutorial on my fourth turn because I let an enemy Assassin and Scoundrel get into melee range of my Rogue leader for a single turn. With no room for error and your entire empire on the line while using your leader in battle, you have to know every factor playing out in battle. Let’s begin. 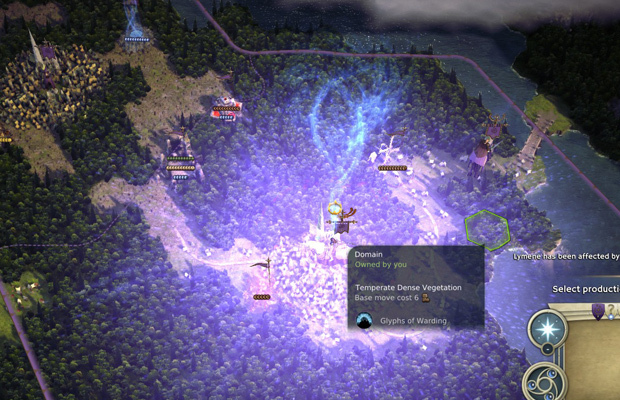 Knowing how these five factors interplay in combat is vital to finding success in Age of Wonders 3. Each unit you click displays a color coded movement grid going from green to yellow to orange. Each color change indicates costing an extra action point for purely movement that turn. Since you only have three action points, and they’re required to do any attack, leaders have to think harder than most tactic games before rushing their fighters across the field. The other piece to note is enemy movement. 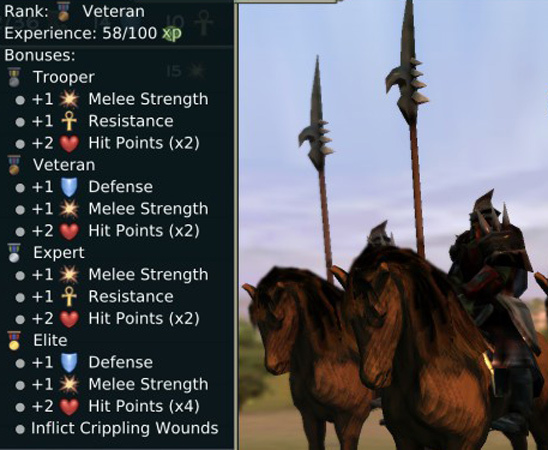 If you have a mounted spearman rush to the limits of their range to ‘engage’ an enemy unit, they’re only going to have enough action points to strike once (and if it’s not a flanking attack, receive a retaliation strike from the enemy in return). The next turn, that same enemy will have you deep inside their green zone and can smack you up to three times depending on the unit. That can be devastating as unit scaling in this game is on par with games like Civ, and you can imagine a tank shooting a legion of archers three times in one turn. As such, utilizing the defense command and letting the enemy waste action points moving towards you is a much more valuable tactic here than in most games of its kind. While your melee sets up valuable defensive lines complete with area of control (i.e. 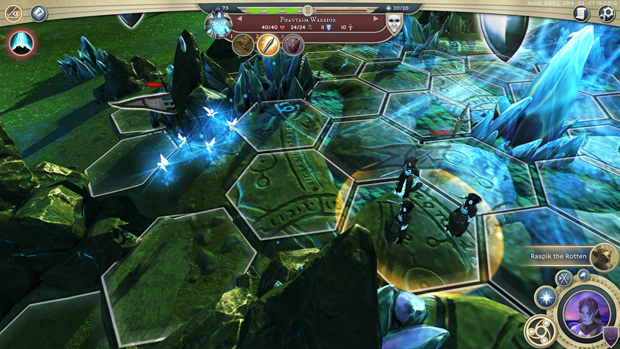 enemies attempting to walk past in adjacent hexes to reach your squishy line will suffer a free attack on the way), your ranged units can position themselves ahead of time to be in good standing to unleash multiple strikes once the enemy is in range. And range is a big deal, with weapons classified as medium range reaching five hexes away, and long range reaching an intimidating ten hexes. 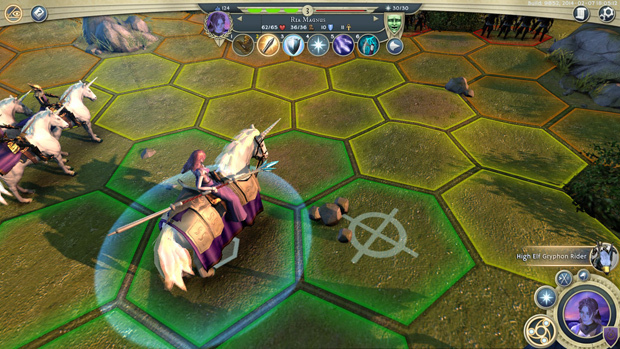 It’s worth noting that if an enemy does manage to engage ranged units head on though, it often disables the unit’s ability to continue launching long ranged attacks, and you’ll either have to dispatch the engaging offender to free up your ranged unit, or have your range unit suffer an area of control smack to get some distance and break the engagement. This all takes a turn for the full on complicated with line of sight, as finding that perfect chokepoint where fast enemies are incapable of reaching your ranged units while your ranged units line of vision to the enemy isn’t hindered is quite the task. Everything from cliffs to walls to bushes can mess up ranged attacks, causing their effectiveness to suffer up to 75%. Thankfully this is a turn-based combat system as making the ideal decision with all these factors at play can take a bit of focus and consideration. Though the sense of accomplishment from pulling off a clean victory, even ones heavily weighted in your favor, is far above other strategy titles. As your empire expands and you start to risk exploring epic lairs or engaging enemy civilizations in warfare, combat will gain yet another layer of complexity. The first and most problematic to deal with comes from Leader Spells. Think of these as your opponent’s way of paying to win a fight that’s otherwise impossible. And with so many classes to deal with, being able to predict and prepare for what’s to come will take hours upon hours of gameplay trial and error. In my fifteen hours of gameplay, I’ve gone up against some seriously twisted and unexpected enemy boons, from a holy knight being repeatedly healed each turn by his Theocrat leader (who mind you, doesn’t even have to be present, though the cost of casting these spells doubles in that case), to my siege machinery rusting out just before breaking down an enemy fortress wall. 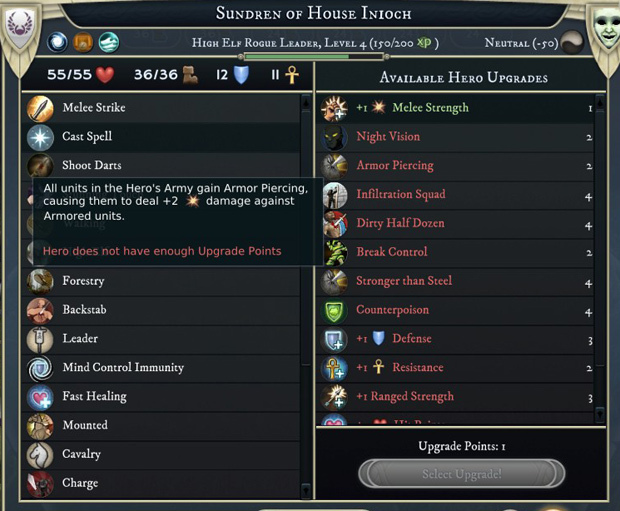 Thankfully there are limiters on how many of these spells can be cast per turn, but as the game progresses, these limits are pushed back as heroes and research grows more powerful. The next advanced factor is the sheer amount of unit diversity this game has on tap. One would think after playing fifteen hours in, you’d have a general understanding of what was out there. Especially in beta. Yet again and again I was confounded by undead, fay, ethereal, and even some sort of holy dwarves packing unique factors that can hard counter an entire army’s battle strategy. 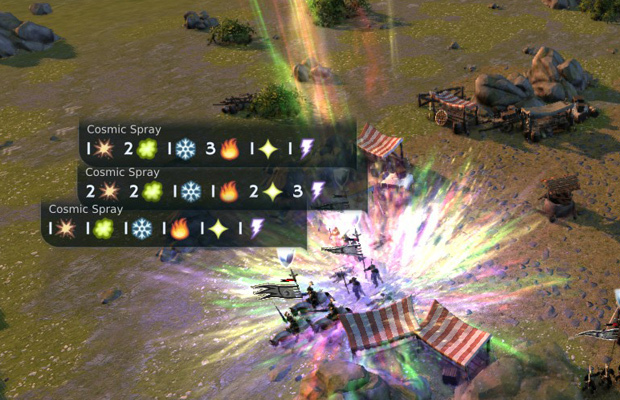 This gets truly frustrating when engaging with a unit that, on paper, is severely weaker than yours, only to enter their ruin and discover a field effect that will have you sacrificing unicorns left and right just to get your hero out alive. I’ve seen noxious fumes choke out and slow my hardiest charging knights. I’ve seen ruins that revive the dead each turn as fearless skeletal minions. Heck I’ve had to deal with beings of pure energy that absorbed their mana node to reconstruct damage dealt to their bodies. It’s a wild world out there, so never let your hubris get the best of you. Again I apologize for overwhelming your uninitiated minds, as harnessing the power of such an era takes long nights of endless study into the Tome of Wonders. Many of my less worthy compatriots fell into madness digging through the depths of that in-game encyclopedia attempting to grasp the responsibilities of leadership. So I will finish off this preview by now gazing into the macro level of mid to end-game national leadership. Initially leaders only care for the lure of gold during the Age of Plunder. But as a country grows into an empire, new resources rise to prominence. Knowledge is one, a resource required to unlock spells from the minor combat attacks to the meager strategic summons, to the empire impacting global boons. 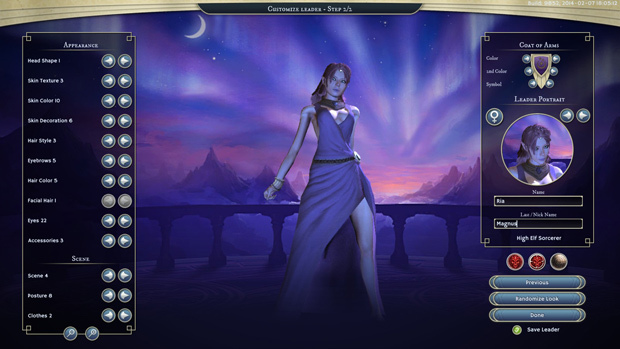 Knowledge unlocks new units for construction, new buildings with additional economic bonuses, and even upgrades your existing buildings with powerful functions. And the strangest and most wonderful part of knowledge, is some of it can only be utilized by certain classes and certain pieces are unique to your leader’s chosen spheres of specialization. Meaning your nation, and every other nation you come across, is in reality a unique and beautiful snowflake. Mana and Spell Action Points is another factor you’ll eventually come to care for. 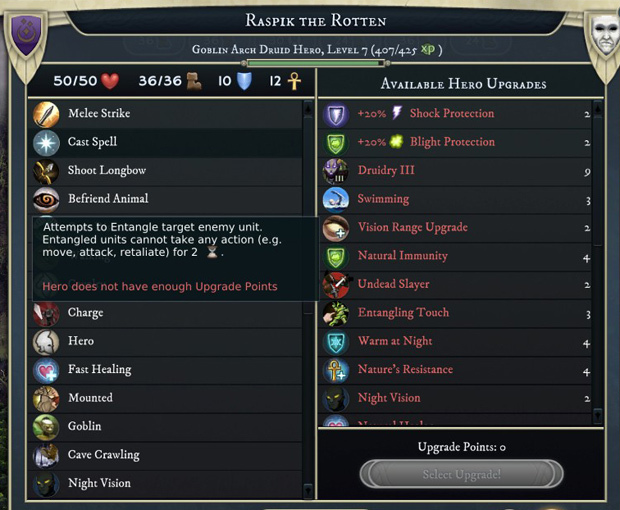 Every major and even minor spell you cast via the spell menu draws from it. 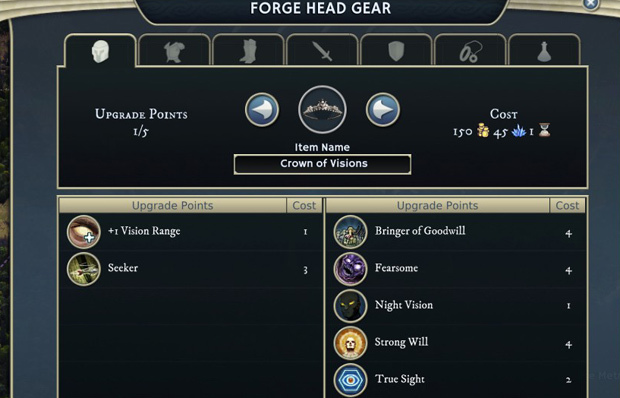 Certain buildings require it to be constructed, and others like the gear forge even charge it for item construction. And then there are extended duration spells including unit summons, city wards, and the like which have mana maintenance cost that will charge your coffers each turn. 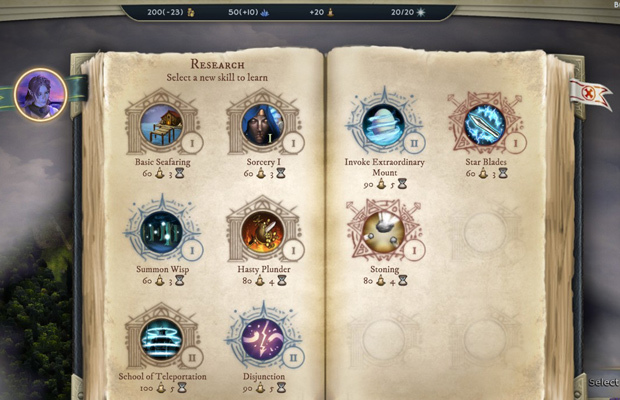 As you research deeper into sorcery, you’ll unlock further spell action points, allowing you to go spam crazy with lesser spells to fight at full force across multiple fronts, or even unleash high level super spells to cripple your enemy’s chances of victory. All in all, the mana costs are going to keep rising, and eventually you’ll find yourself fighting for cities with mana nodes inside to keep up in Age of Wonders 3’s personal vision of the modern era’s race for oil. Finally the part of these games that sells it, diplomacy. After spending all that time perfecting your characters looks, you can be satisfied knowing other leaders from around the world will see your masterful self in all their glory. 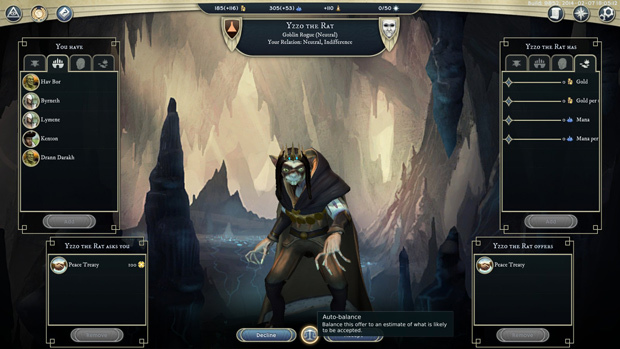 Beyond gawking at your enemy’s perplexing fashion sense or crude attempt to make a goblin look somewhat pretty, you can also deal in peace treaties, trade cities and hero equipment, forge alliances, declare war, and trade resources. There’s even a nifty auto-balance feature to let the AI decide what would make a deal fair. Just beware as your actions in diplomacy and on the battlefield build towards your leader’s persona overtime, allowing other leaders to see just how evil or good your tendencies are. Tricky and deception only get you so far before you’ll have to pay the price for your injustice. And when dealing with AI leaders, major events will also positively or negatively impact their visible modifiers, so you can at a glance know just why Yzzo the Rat wants your head on a pike. 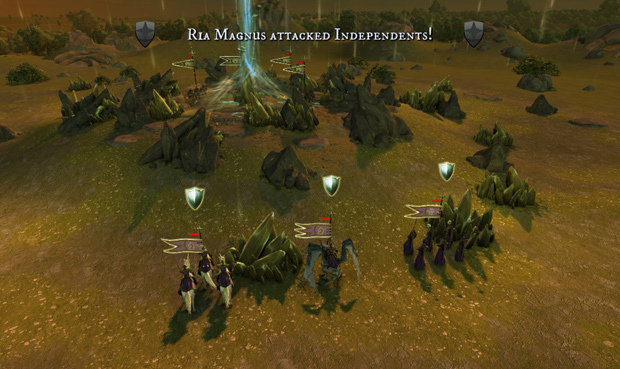 After countless hours fighting, Ria Magnus finally fell. Not at the hands of Yzzo’s endless scheming and horrific assassins, but due to a game crash since her magically summoned Wyvern (yes I finally replaced the unicorn) had not had its attack animations implemented into the beta just yet. 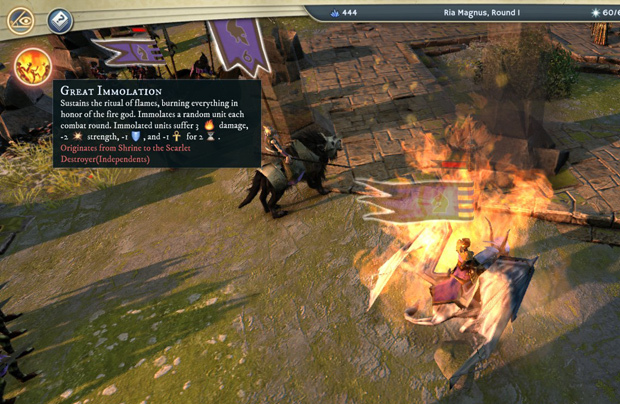 Age of Wonders 3 is certainly not for casual gamers. Its endless nuances and quickness to punish each and every mistake you make can leave the foolish frustrated. But there is certainly an audience that has waited far too long for a game of its style and depth to arise from the ashes. The game still needs some touch-ups to its graphics, animations, and a few tweaks to balance, but the core product is already enough to give even a jaded veteran one-more turn syndrome. 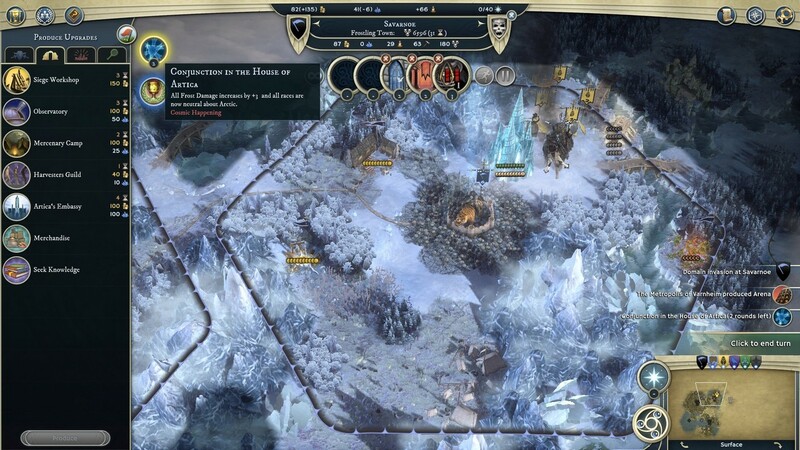 As such I suggest the true fans of this genre wait patiently, for the fully polished version of Age of Wonders 3 is going to be one of those once in a decade masterpieces strategy gamers sink thousands of hours into. I should say after spending the weekend reading through the beta forums, this write-up is barely the tip of the iceberg of what this game has to offer. There will be plenty left to discover when players get their hands on it next month. 31st cant get here fast enough… Gonna not go to work that day!! !